In 2018, Tearfund celebrated 50 years since its foundation. To mark this we reflected on the biblical concept of Jubilee and what it means for Tearfund’s work. Throughout the year, Tearfund Learn continued its usual work – but, in many areas, we linked this to the idea of Jubilee. We explored various Jubilee themes through Footsteps magazine and our Thinking Theology gatherings, as well as new publications. You will be able to find all our Jubilee-related resources here to view online or download to use at another time. 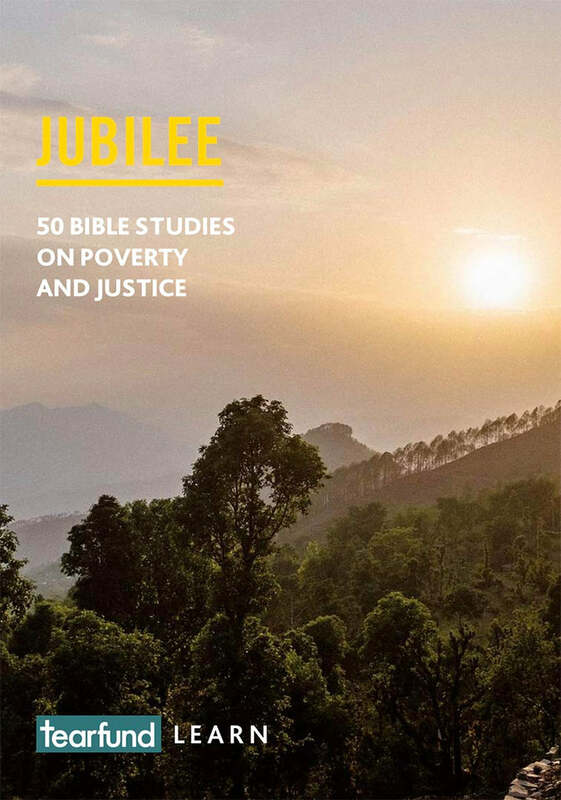 This book contains 12 new reflections on what the Bible tells us about Jubilee, together with 38 Jubilee-themed Bible studies published by Tearfund over the last 50 years. They are designed to be used either on your own or with a group. Our prayer is that these studies will inspire and bless you as you seek to serve God and see his kingdom come. In the Old Testament, God gave the Israelites laws that commanded them to celebrate a year of Jubilee every 50 years. This involved cancelling old debts, freeing slaves and restoring relationships with God, one another and the land. In 2018, we produced three Footsteps editions linked to Jubilee themes: Footsteps 104 on prisons, Footsteps 105 on land rights and Footsteps 106 on sexual and gender-based violence. Our first theological gathering of 2018 was held in Nigeria, where Tearfund’s work began 50 years ago. At the event, church leaders and theologians re-engaged with our historical roots, exploring the theology and practice of Jubilee and how this links to overcoming poverty. What does jubilee mean to you? We would love to hear what God says to you during these Bible studies and to share this with others in the Tearfund Learn community. Please email us at publications@tearfund.org.